Planning on Taking the CCM Exam? Where Should I Send Your Successful Study Strategies? I would like to send you my 10 page PDF on Successful Study Strategies. If you are studying to become a Certified Case Manager, you have come the right place. This site was created as a place to keep all my notes when I was studying for the CCM Exam. The Exam Overview Page in my opinion the best place for you to start. 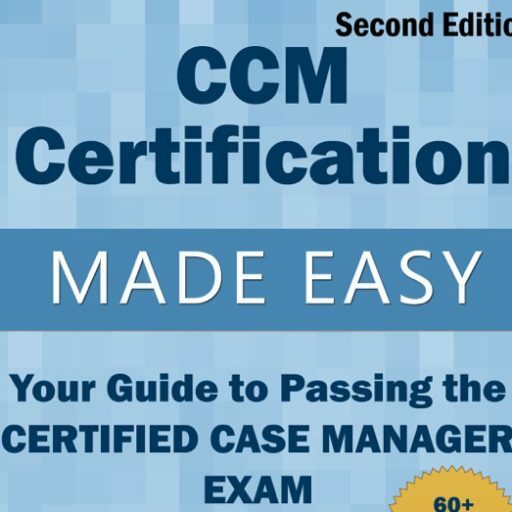 This will help you to better understand the CCM Exam, and the content covered on the exam. The Case Management Knowledge Domains area is where you will find my notes on each of the areas covered on the exam. Deanna’s book, study guide, website were extremely instrumental in my success on the CCM exam! They helped me focus on the important information and encouraged me to relate the material to personal experience. I highly recommend her book and accompanying material for a cost-effective, comprehensive avenue to success! “I found this website the night before I took my exam. I wish I had found it earlier. I have shared it with a friend who will be testing next week and demanded she study from it. I never leave reviews, but I have to tell you that this site was incredibly helpful. If I had found your book earlier I would have purchased it but it looks newly released. I will share this site and your book information with anyone taking the exam. The author for this book is so helpful! The book and her website are key and a budget friendly way to pass. She’s really passionate about this so much so that when I email her with a question she answers- basically she comes with the purchase of the book lol. She genuinely cares about the success of case managers and you can see it from the verbiage in the book and site. I just passed my Case Management exam on April 27th, 2017 I am still in shock as my CM experience has been quite out of the box with a lot of preventive and wellness CM. I think to say I was green to most of the information that would be required of me to pass this exam would be an understatement. I had six weeks from the time I received the yes to write the exam from the Board. I found Deanna and the Case Management Study Guide. Deanna spoke with my on the telephone and told my how to set up a study plan with her information I did following advice it to the tee. I also called other times to ask many questions and Deanna returned all my calls right away answering all my questions with such a positive attitude. She made me feel no question was silly to ask and that was a great comfort to me. I want to let anyone out there know that if you are writing the CM I would HIGHLY recommend purchasing Deanna’s workbook and attending all her free online tutorials. She and her book are the reason I can say today I’m a CCM and know can look for the jobs I have always wanted. I am so Grateful to Deanna and her Team. To know there are people out there that really care and do their very best to help others is a huge blessing. Thank you, Deanna and Team, at Case Management Study Guide! “Hi, I want to thank you again for sharing your website with nurses who are studying for their CCM. I have told many of my colleagues who are studying and may whom have already passed have used the site. They have all thanked me and I’m passing it along to you.